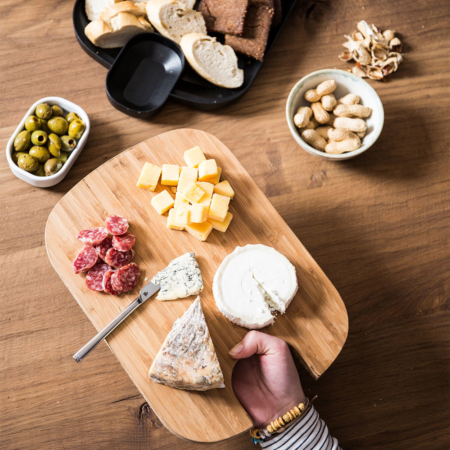 Offer your guests appetizers and snacks in style with the Food Pairing Serving Tray. 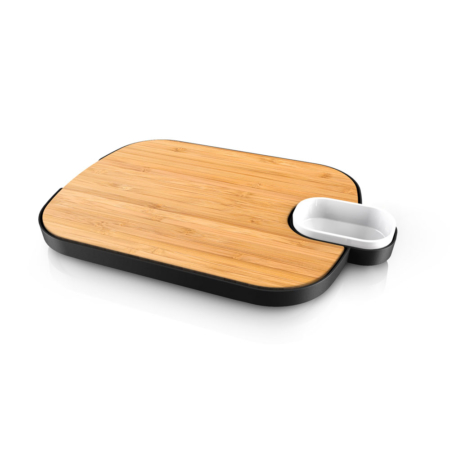 This three-in-one serving solution combines a thick bamboo cutting and servingboard with adetachable ceramic dip bowl. 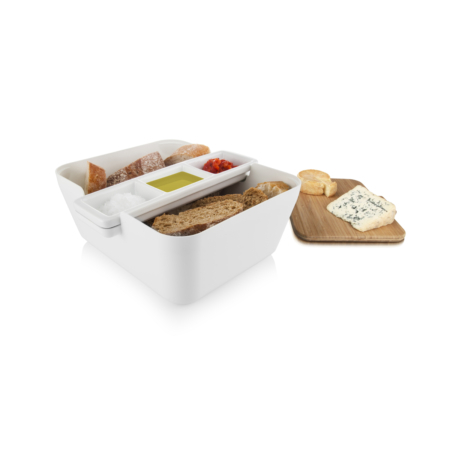 Both nest in a separate serving tray with its own dip compartment. Use them in any combination to perfectly pair food with beer or any other drink. The 2 cm thick cutting and serving board is ideal for cheeses and dried sausages. The ceramic dip bowl can be used with the board, or remain nested in the serving tray. Use the serving tray for snacks like chicken wings or tortilla chips. Dimensions: 25 cm x 24 cm x 3 cm.